Thinking of installing a new roof but don’t know what to opt for? Looking at the pros and cons of installing metal roofing will help you decide. When it comes to installing a new roof, there is a wide range of options available on the market and it is quite easy and natural to become overwhelmed by the choices. This is because changing a roof is not something one would do often; it is basically a one time expenditure which an individual bears once in a very long time. Therefore, it is quite understandable that he or she may not be familiar with the options and may get confused as to which one to go for. As mentioned there are several roofing material options on the market, like- wood shakes, clay roofing tiles, slate, concrete tiles, etc. 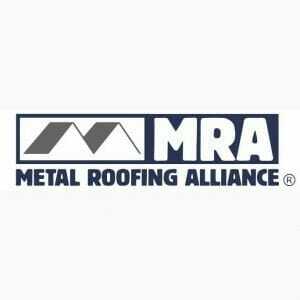 This list of roofing materials also includes metal roofing which has become one of the most preferred alternatives and has gained significant popularity over the last two decades. Therefore, if you are a home owner looking for a suitable material to replace the roof of your house, then a metal roof may just be the right option for you. 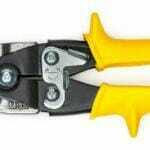 I know it is your hard earned money we are taking about, so it is very important that you are sure of what you want. In order to help you make up your mind, I have listed a few pros and cons of installing metal roofs in the following paragraphs. Durability: Metal roofs are very durable and last for more than 50-60 years. Protection: Your house is protected from bad weather and these roofs can withstand wind gusts up to 140 miles per hour. Environmentally Friendly: Metal roofs are considered to be eco-friendly. When it is time to replace, the metal roofing material can be recycled. According to American Iron and Steel institute, steel is considered to be the best material for green buildings, as it helps in achieving the goal of reducing and eliminating the use of chemical substances. Energy Efficiency: It has been observed that metal roofs save energy and help in reducing your cooling costs by almost 40%. Low Maintenance: This is another very big advantage of installing a metal roof. 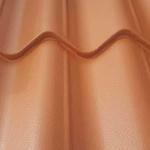 A metal roof will not crack, curl, split, rot or lose impact resistance with age and moreover it lasts for 50-60 years. 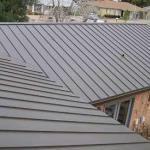 Therefore, the maintenance expenses for metal roofs are minimal. Cost: Installing a metal roof is a somewhat expensive affair. I’d like to put it this way, although it is expensive it can be viewed as an great investment. Noise: Some metal roof can be quite noisy. This can be prevented by using certain insulating materials at the time of installation. 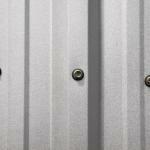 Scratching and denting: Metal roofs have the tendency of denting and getting scratches. If there is a heavy hail storm there is the possibility of your roof surface being marred. Abovementioned are a few pros and cons of installing a metal roof which are very important to be taken into consideration. Although in most cases the pros far outweigh the cons, it is advisable that you compare them with regards to your specific requirements before finalizing your decision.